What should I expect as the buyer? The contract is "ratified" when all parties have signed and/or initialed all terms. Upon ratification, the clock starts on contractual deadlines, such as written loan application, inspection, and deposit, if not already collected. Your deposit is held in my company's escrow account (unless specified otherwise in the contract) and applied to your down payment at closing. I'll send a copy of the contract to your lender and attorney. Must be made within 7 days of ratification. The lender requires the appraisal & credit report fee upfront, typically $450-$500, but it has become customary to wait to pay until after inspection (see below) to collect for and order appraisal. Please keep in mind that the loan officer will need several items from you. The sooner you get the requested items to the loan officer the quicker the process will be. Typical documents needed are: most recent tax returns for 2 years, most recent W-2, 1099 or K1 for 2 years, 1 month paystub, most recent bank statements and/or asset accounts for 2 years, 401K statement and terms & conditions (if applicable), divorce decree or separation agreement if there is child support or alimony being paid. There may be additional documents needed by your loan officer. At your expense and within 10 days (or as otherwise specified) of contract ratification. You may use an inspector of your choice or I can make a recommendation. The inspection fee is payable at the time and usually costs $300-$400, depending on the square footage. I will be present and can forward the report to you, if you are unable to attend. The seller is typically not present, to allow you and the inspector to freely discuss the property's condition. Should you desire any repairs, we must provide a copy of the inspection report and a written request within the same time period (1 draft the request in the form of an addendum to the contract). The contract outlines a period of negotiation thereafter. Any agreed-upon repairs must be completed prior to closing and you have the right to inspect repairs. Alternately, the seller may sometimes offer additional closing cost contribution in lieu of repairs. We'll discuss the options in more detail after inspection. Once inspection repair request negotiations are complete, the lender orders the appraisal and buyer's attorney orders the title work. The appraiser arranges access through seller's agent. Don't be surprised if the appraisal comes in right at or just above the purchase price. Should the appraisal be less than the purchase price, there are 3 options. You can pay cash for the difference (unlikely), the seller can reduce the price, or the contract may be terminated with neither party deemed to be in default. 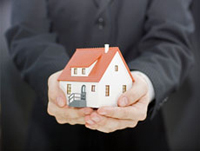 You are required to have homeowner's insurance if you are obtaining financing for your new home. Typically your current insurance carrier will offer you the best rates, but I always advise to check around to insure you are getting the best rate. The agent name, contact phone number & company needs to be provided to me and your lender about 23 weeks prior to closing so that the insurance binder can be ordered. Ordered by seller's agent and delivered to you or me via electronic link, courier, parcel delivery, or mail if the property is in a neighborhood that has a homeowner's association. You have 3 days from receipt or 6 days from postmark, if mailed, to review the packet and terminate the contract, should the contents be objectionable. No reason need be given, but written notice to terminate must be within the 3 or 6 day timeframe. If no packet is available, you have the same time period, from notification of unavailability, in which to terminate. There is no deadline in which the seller must provide the packet, but most like to get this done quickly, so as not to lose marketing time, should the buyer terminate on this basis. Customary for seller to provide at seller's expense. (Well & septic not required on public systems.) The well/septic certificate must be dated within 30 days of closing, so seller's agent orders these about 2 weeks prior to allow for closing delays. The septic is a "walk-over" of the drain field. The WDI certificate is issued based on a visual inspection. About a week before closing, start arranging forwarding mail and setting up utilities in your new residence, effective as of the closing date. Don't forget items such as cable/dish service, trash pick-up, propane/gas, and electric. Closing delays happen frequently, so bear in mind that services requiring your presence (such as cable) may need to be rescheduled in the event of a delay. The day before or morning of closing, a settlement statement (HUD) is prepared showing all charges and credits. Both agents and attorneys will review this for contractual and mathematical accuracy. We will do a final "walk-through" either the day before or just prior to closing to make sure the house is broom clean and in the same condition (except for agreed repairs) as of the time of contract. It's no longer customary for a seller to attend closing, as they usually sign the deed in advance, so closing will be scheduled at a time convenient for you. Have no fear, I'm here to help! I have a list of contractors, inspectors, attorneys, and other vendors, with whom I do business often. So, I'm happy to coordinate anything that comes up. Certainly, if you have contacts of your own, I'll work with them as well. Heads-Up: Closing almost never happens on schedule, but delays are not typically more than a few hours or 1 business day. Most are due to last minute lender requirements. Because of our current market conditions, and because many loans are subject to governmental authority, such as VA, FHA, VHDA, & USDA, underwriting scrutiny has become intense. It's not typical for deals to fall through, but delays due to last minute requests for supporting documentation often occur. I've worked with numerous lenders, and it just seems to be the nature of the industry. On another note-do not make any changes in your financial situation (i.e. opening new credit cards, quitting your job; etc.) - you don't want to risk your qualifying for the loan. If this is unavoidable please let myself and your loan officer know as soon as possible.